Turkey is a holiday staple around here. Well, if I am honest, we eat Turkey all year round, but for the holidays it is a must-have! Whether you are cooking for 2, or are like me and have a clan of 40+ to feed, Canadian Turkey is not only an affordable option, it is a versatile one too. If you are looking to change-up your holiday meal this year, put a twist on your main star – the turkey, with this Pomegranate Glazed Turkey Thigh Roast recipe. Oh, and if you like giveaways, you might just want to keep reading as there might be a little somethin’ somethin’ for you at the end of the post! Lets get excited about turkey! And while we are getting excited, let’s get real, food and drinks are key in entertaining. I’ll admit, I have been to a few too many holiday celebrations where I left starving. Don’t be that host, give your guests a meal that will not only fill up their tummy, but will leave them talking about how amazing your food was! The holidays can be a stressful time for many, especially if you are hosting a crowd! I have some great tips to help you get ready for the holidays and take a bit of that stress away. The cost of the holidays can add up quickly. If you are hosting a feast, save money by purchasing a utility turkey! Utility turkeys taste the same as Grade A turkeys but may be missing a wing, or have a tear in the skin. Your guests will never know once the meat is all carved up. Bonus tip: Some grocery stores will even match their competitors utility turkey price and upgrade you to a Grade A turkey, so be sure to watch those flyers! Involve your family in the cooking to take some of the weight off your shoulders! If hosting a dinner, ask guests to bring some of the side dishes to lessen your long to-do list. When you are hosting a smaller crowd you can save cooking time and have more fun entertaining your guests by preparing a meal using turkey parts instead of a whole turkey. It is so easy to customize your meal based on your guests preferences by easily serving more dark or white meat. It can also cut your cooking time in half or less! This is totally us, every boxing day we host Steve’s family. When I say family I mean aunts, uncles, cousins, and kids galore! We usually have around 40 people here each year and feeding a crowd that big can be costly. We easily feed our large holiday crowd on a budget by serving whole roasted Canadian turkeys that we get on sale (no surprise). I always ensure to prep our turkey in advance and have whatever sides we are making ready to cook while the turkey is in the oven. If you are wondering what size bird you will need to feed your holiday crowd, Canadian turkey has you covered! Head over to their website where you can find their Whole Bird Calculator to help you determine the perfect size of turkey for your meal. If you want your gathering to run as smoothly as possible, and your meal to be incredibly delicious, visit sites like Canadian Turkey. They have amazing resources like Turkey Basics videos to help you create the perfect roast turkey meal with fool-proof instructions, hints and tips. You can also find an endless selection of amazing recipes to wow your guests with! This amazing recipe will definitely be the main star of your holiday dinner. With a delicious glaze, and mouth-watering stuffing, you can’t go wrong cooking this up for your family! 1. Combine pomegranate juice, sugar and apple cider vinegar in a small saucepan. 3. Reduce to a low simmer for 45 – 60 minutes until mixture thickens to a glaze and can coat the back of a spoon. Mixture can be made up to 1 week ahead and refrigerated until needed. 1. Cook sausage over medium heat until cooked through and no longer pink, 8 – 12 minutes, set aside. 2. Add olive oil and onions. Cook over medium heat until onions and browned and caramelized, 8-10 minutes. 3. Cube bread into pieces and soak with milk until absorbed, 10-12 minutes. 4. Combine soaked bread, onion, and sausage together. Add salt and pepper to taste. Combine with chestnuts, parsley and eggs. Set aside. 1. Spread out turkey thigh meat skin side down. 2. Trim extra parts and pieces to create a rough rectangle. 3. Season with salt and pepper, and half of the garlic powder and half of the Italian seasoning. 4. Drizzle glaze generously over the meat. 5. Spread stuffing mixture over the meat leaving a few inches along the edges free of stuffing. This will make it easier to roll up. 6. Roll up the turkey and tie with butchers twine. 7. Season the outside with salt and pepper and the rest of the garlic powder and Italian seasoning. 8. Sear all sides of the turkey roast over medium heat until browned, 10 – 15 minutes. 9. Drizzle generously with the pomegranate glaze. 10. Roast at 350°F (177°C) for 45 – 55 minutes until cooked through and a meat thermometer registers 180°F (82°C) in the thickest part of the roast. 11. Once cooked, let the roast rest for 20 minutes before cutting and serving. TIP: If you have smaller turkey thighs on hand you can use the same method to make individual roasts. Stay up-to-date with Canadian Turkey by visiting their website. Also follow them on Facebook, Twitter, Instagram, Pinterest, and Youtube. Use hashtag #TurkeyTraditions on social media to share your turkey inspired meals, and get inspiration from others! I have teamed up with Canadian Turkey to bring you this giveaway where one lucky reader will win an Amazon gift card. This giveaway will close on December 29, 2017 at 11:59 PM EST. One winner will be drawn from all eligible entries and contacted via email on December 30, 2017. The winner will have 24 hours to respond to the email and claim their prize. If they fail to do so a new winner will be drawn. Disclosure: Although this post is sponsored by Canadian Turkey, the opinions and language are all my own, and in no way do they reflect Canadian Turkey. Any product claim, statistic, quote or other representation about a product or service should be verified with the manufacturer, company, provider or party in question. The All -In-One Thanksgiving Dinner bowl looks like an awesome way to use up leftovers! I’m having people over this weekend, so I may try the pomegranate glazed roast! 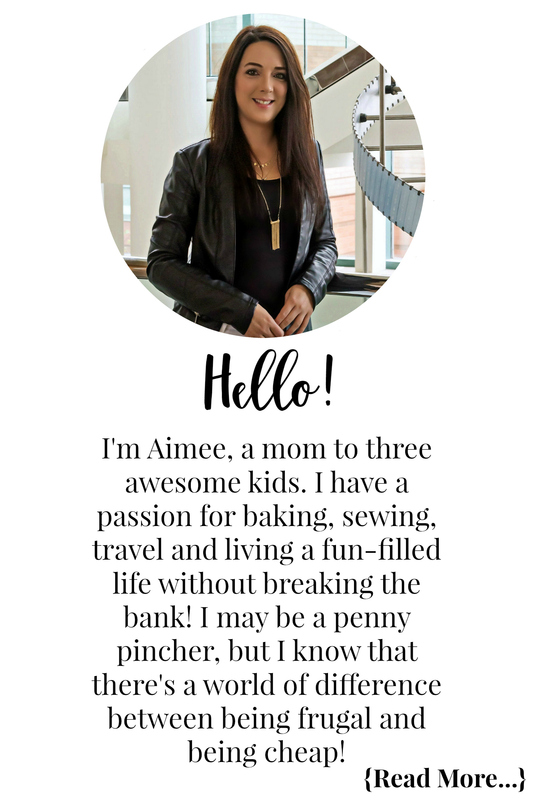 I’d like to make the homestyle turkey tourtiere – looks delish! I would love to add the Homestyle Turkey Tourtière recipe to our holiday celebrations. I would like to add HOMESTYLE TURKEY TOURTIÈRE to my holiday memnu. I would like to add the Gluten-Free Red Quinoa Stuffing with Apples and Walnuts recipe to our holiday celebrations. We have a few family members that are gluten intolerant. The cedar plank grilled turkey breast roast with charred tomato salsa looks really good. The ‘Asparagus and Swiss Cheese Stuffed Turkey Cutlets’ look great! Our family would love that! I’d try the Pomegranate Glazed Turkey Thigh Roast. I would love to make and try the One Pan Turkey Pilaf with olives, orange and apricots. That looks so good I think I may try it !! I would like to add the Homestyle Turkey Tourtière. I would add the HOMESTYLE TURKEY TOURTIÈRE to our holiday celebrations. the ALL-IN-ONE THANKSGIVING DINNER BOWL sounds really good ! My Hubby will love this ! The Asparagus and Swiss Cheese Stuffed Turkey Cutlets sound so good. I would like to try the Turkey Biryani. I love to make the HOMESTYLE TURKEY TOURTIÈRE. I would love to try the recipe for HONEY MUSTARD AND SRIRACHA TURKEY THIGHS ! I’d like to add the MAPLE-THYME BASTED ROAST TURKEY recipe to my holiday celebrations. Would love to add the turkey tourtiere to our holiday celebrations. I would like to try the All In One Turkey Dinner Bowl this year.. Sounds delicious. The Homestyle Turkey Tourtiere sounds like a dish that my family would enjoy during the holidays. I like the ONE PAN TURKEY PILAF WITH OLIVES, ORANGE AND APRICOTS, we love rice at our house. open faced turkey sandwich looks very good. I really am looking forward to trying the Turkey Snack Jars, 3 ways. With a husband who works night shifts and myself on day shift having these in the fridge for lunches would be a HUGE time saver!! This looks like a really yummy alternative to traditional oven roasted turkey. I think the Warm Turkey and Root Vegetable Salad with Goat Cheese Dressing would make a nice starter dish to our Christmas dinner! I’d love to try the Warm Turkey and Root Vegetable Salad! Yum! I’d love to try the MAPLE-THYME BASTED ROAST TURKEY recipe! The turkey falafal bites look incredible. I’d like to make Turkey Snack Jars 3 ways over the holidays. I think the family will find this a cute presentation for eating and able to mingle about at the same time. The Thanksgiving Turkey with Fig & Walnut Dressing sounds like something I would make during the holidays. I would try the Turkey Falafel Bites! The All in One Thanksgiving Dinner Bowl sounds perfect for leftovers! The recipe for the holidays that I would use is the ROASTING A WHOLE TURKEY to make sure my Christmas turkey is done right. I would like to add the Wild Rice Stuffing to my holiday meal. I have a few relatives that are celiac and they would be happy with this alternative to regular stuffing. 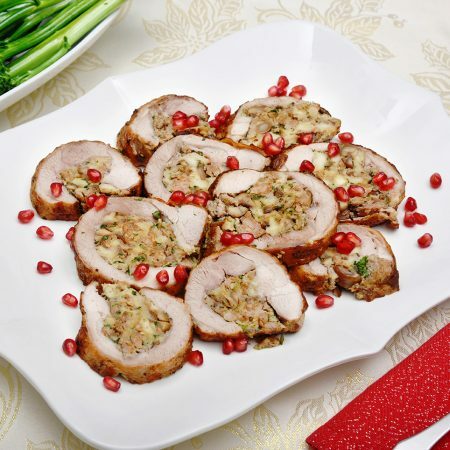 I’d love to add the Cherry-Orange-Stuffed Turkey Breast to my holiday celebrations! I will be hosting a Christmas brunch this year and would love to add the Homestyle Turkey Tourtière on my table. I would like to add the to my MANGO CASHEW TURKEY CURRY recipe holiday celebrations. I would love the tasty turkey dinner bites. The recipe is quick and easy and no left over turkey goes wasted. Great idea if you’re hosting a new years eve party. Defiantly something I’m going to try. The turkey falafel bites look so fun! I would love to try HOMESTYLE TURKEY TOURTIÈRE. I love tourtière, but would never have thought to make it with Turkey! The sausageeek turkey stuffing looks amazing! We would love the all-in-one thanksgiving dinner bow at my house! Great info. I like the recipe “all in one turkey dinner” looks like a good freezer meal too. Definitely going to try the Roasted Turkey with Cranberry Cornbread Stuffing! I would love to try the apricot and pecan stuffing. Sounds delicious. Would love to try the turkey tourtiere! Really want to try the Turkey Biryani!! Looks so tasty!! The honey mustard and Sriracha turkey thighs look so yummy! Love the tip about breaking the turkey down into parts. I started doing that a few years ago and the turkey is done is only a couple of hours. The open faced turkey sandwiches look great. Mushroom Leek and Turkey Sausage Stuffing! It looks amazing. Mmm the turkey tourteire for sure! The turkey falafal bites or the tourtiere looks really good! I would definitely make these! I’d like to make the homestyle turkey tourtier. Looks yummy!! I love mustard with turkey! I’d try the HOMESTYLE TURKEY TOURTIÈRE! I think the Turkey Biryani looks delicious! Yum! I would like to try the one pan turkey pilaf. I would love to try the ‘Goat Cheese and Red Pepper Frittata’. What a great way to use up those leftovers! Would love to try the Turkey Falafel Bites during my holiday meals. Would love to try the tourtierre. I love anything with a crust! Home style Turkey Tourtiere would be one if definitely try! Looks deelish! I would love to try The home style turkey tourtiere it looks so good. Um… definitely the Beer Can Turkey… two of my fav things together. Definitely would love to try turkey buriyani. Yum! Turkey falafel bites! Sounds delish – can’t wait to try them for New Year’s!! The turkey jars 3 ways ! Or the honey mustard sriracha turkey. Makes me want more! I love just s simple over cooked turkey with little cranberry sauce. Yummy! I love just s simple over cooked turkey with little cranberry sauce. But the MAPLE-THYME BASTED ROAST TURKEY looks tempting! I’d like to try the Maple-Thyme Basted Roasted Turkey! I would love to add the Homestyle Turkey Tourtière. I think the maple thyme based turkey recipe looks interesting and come on, maple is so Canadian! I’d like to try the recipe for SMOKEY TURKEY & LENTIL CHILI!